Exciting week this week! I'm taking a much needed vacation, and will be cruising through the West Indies! 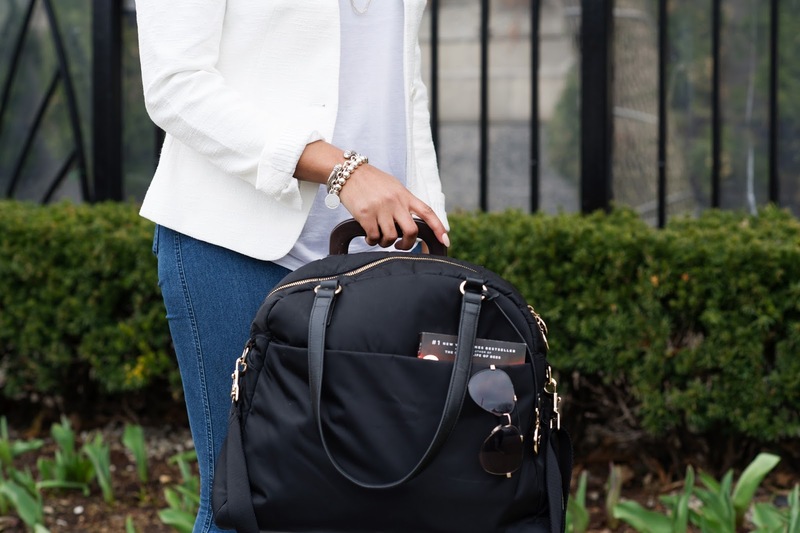 This week on the blog, I wanted to share with you my travel look! Depending on what and where I'm flying into, is how I dress for the airport. If it's a late flight, and I'm just going straight to my hotel or where I'm staying for my trip I usually would wear leggings, and a comfy t shirt or sweater, with a jacket to stay warm on the plane. 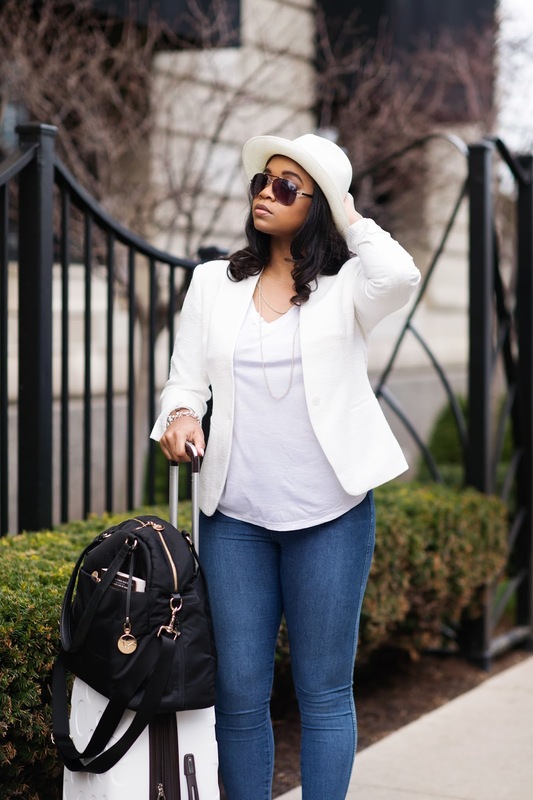 However, if I'm meeting up with someone, or going straight to an event I try to keep it cute but still casual with a pair of jeans, or a nice blazer as it makes it easier to dress up my outfit once I get off the plane. See below for more pictures and details of my most recent travel look! Stay connected with me on my trip and add me on SnapChat!